Atharva has been transferred to the hospital in Kochi for another opinion. His parents have taken him to Kochi on Friday. The examination and tests will be done for 3-4 days. Will let you know the latest updates in some days. My name is Varshikesh and I am from Osmanabad district in Maharashtra. I live with my wife – a homemaker, a 6-year old daughter and my 3-year-old son, Atharva. 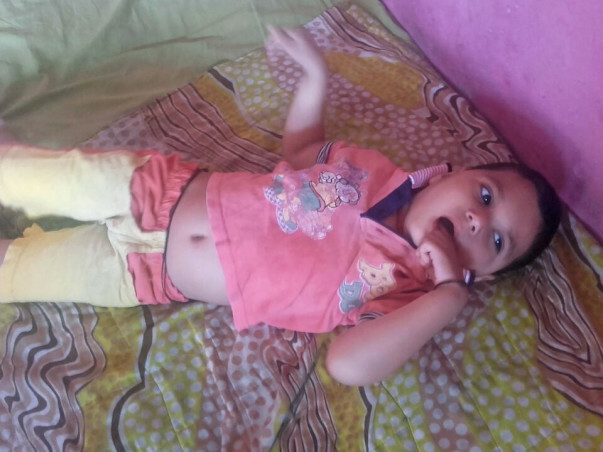 When Atharva was barely 4 days old, he had a brain fever which eventually put him in hands of Seizure Disorder with Cerebral Palsy. The kid has restricted movements can't walk, talk, eat, drink almost nothing on his own. I went to multiple doctors and took medications only to lead Atharva in a status quo. 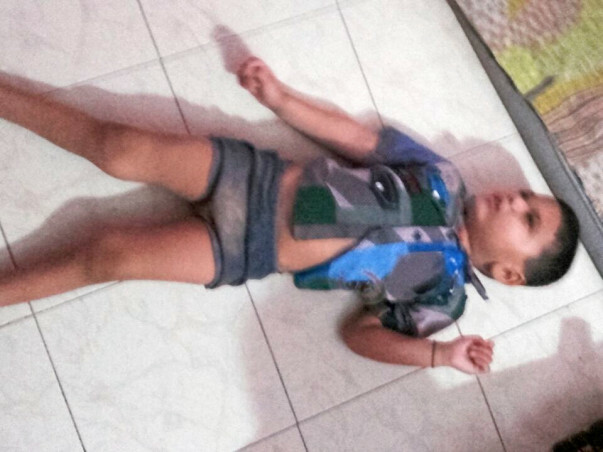 My whole family is struggling everyday so that Atharva can at least manage to do basic things on his own. After doing rounds to multiple doctors, I reached NeuroGen hospital in Mumbai and as prescribed by Dr. Alok Sharma and Dr. Nandini Gokulachandran Atharva has to undergo Stem Cell therapy for Atharva. 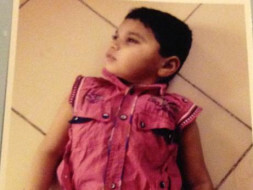 I am working in the capacity of a driver and not been able to arrange the fund for Atharva’s operation. So far, I have been able to arrange only Rs. 50,000 for the operation. Doctors told earlier operation will yield significant improvement in Atharva. Apart from Neuro Regenreative rehabilitation Therapy (NRRT), there is no cure for Atharva’s illness. 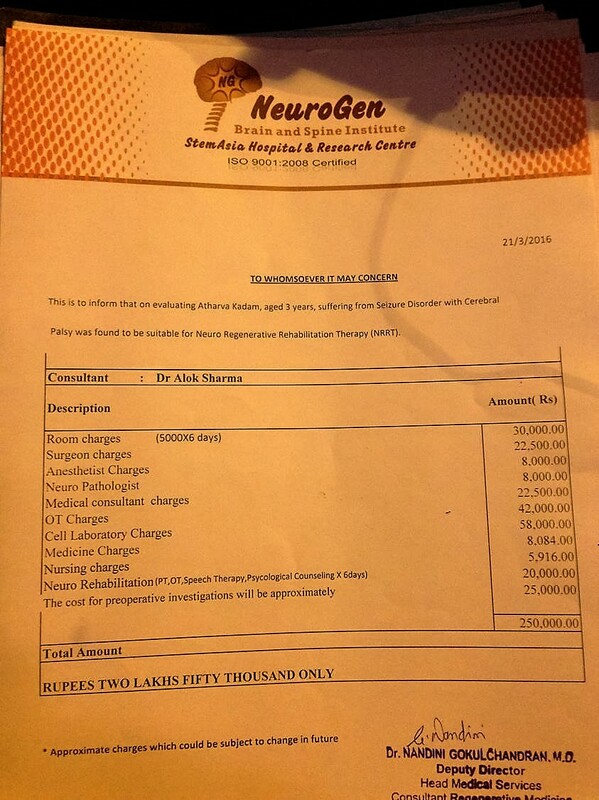 The cost for treatment is Rs 2.5 lakhs and post-operative tests and treatment will cost between 50,000-1,00,000Rs. I am struggling everyday to arrange for money and so far have been able to arrange 50,000 Rs. byfar. 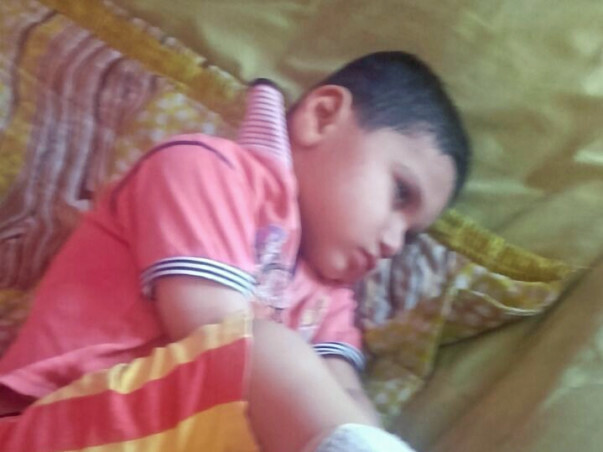 Any help from you will help my child and live a normal life which will not be dependent on anybody. You can donate through this campaign and the funds will be transferred to the hospital. I will ensure all of you get details on the treatment regularly. 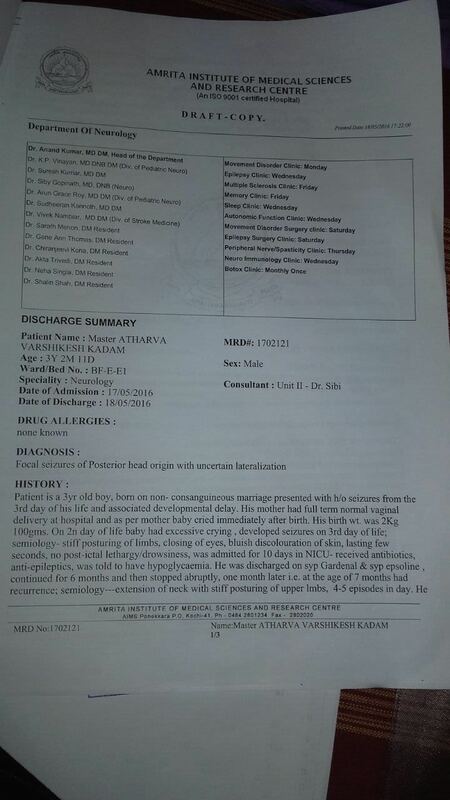 Atharva has been discharged from the Kochi hospital and has been asked to follow up. 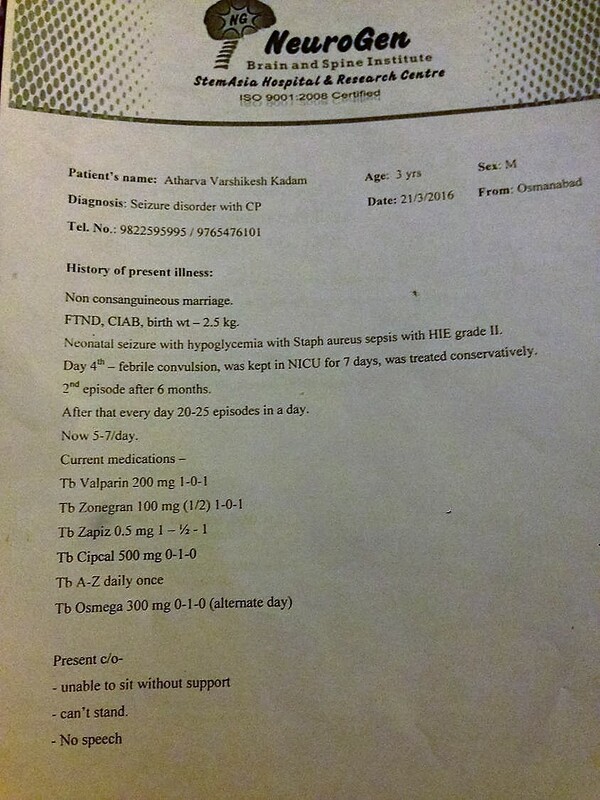 Prescription of the Kochi hospital has been enclosed. On his father's request I am stopping the campaign today. Heartfelt thanks to all those who supported and contributed to the cause directly/indirectly.